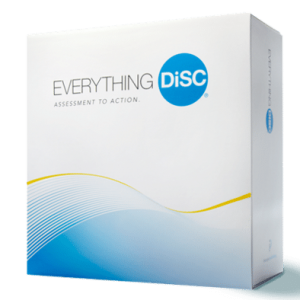 Everything DiSC® Sales Customer Interaction Guides are job aids that support Everything DiSC Sales training. 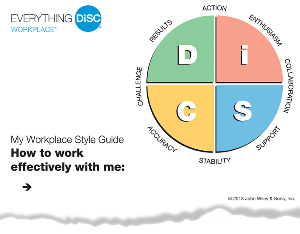 Featuring the Everything DiSC Sales Map and tips for selling to each DiSC style, these maps can be used to determine a prospect’s style or as a refresher before a big call. 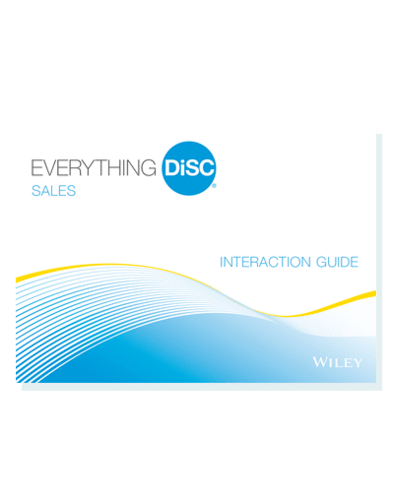 Everything DiSC Sales Customer Interaction Guides are the perfect size to fit into a wallet, dayplanner, or briefcase. Color images on high-quality, durable paper. 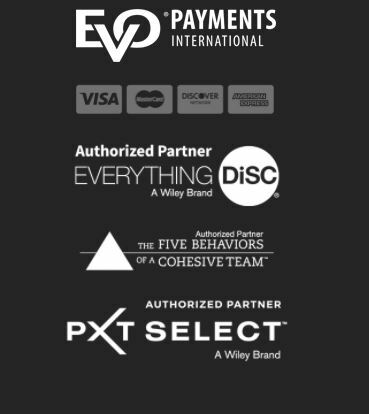 Everything DiSC Sales Customer Interaction Guides are not meant to be used as a standalone product.